About AfriCaribe: AfriCaribe is a non- profit organization dedicated to the preservation, research, promotion, and development of the Puerto Rican and Caribbean cultures through music, dance, theater and other artistc media. 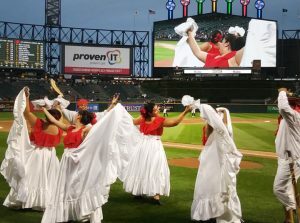 Created in 2000 by Evaristo “Tito” Rodriguez, AfriCaribe provides Chicago with a means to celebrate the African influence in Puerto Rico and other Caribbean lands. 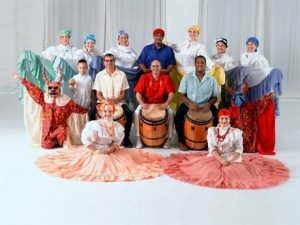 Rodriguez’ vision came to fruition in the form of an umbrella organization providing educational and cultural programming through four main initiatives: An academy, in which professional dancers and musicians teach the traditional drumming and dance of several Puerto Rican ‘Bomba’ rhythms; A performance ensemble, which presents various styles of folk music from Puerto Rico and the Caribbean through song, dance, drumming, and other percussion; A production company, which presents annual events including folklore conferences; An education department, which provides workshops and lectures by organization members as well as by guest professionals. 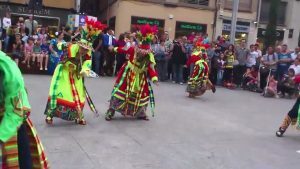 About Tierra Colombiana Folkloric Dance Company: The mission of Tierra Colombiana Folkloric Dance Company is to present and promote the artistic culture of Colombia in all its authenticity through dance, music and theatre. Tierra Colombiana has chosen its mission based on the need for Colombian cultural awareness, and works in conjunction with the Chicago youth, professional guest artists, dance companies, and performs at international festivals. The company is a realization of many years of commitment to the Colombian Community through the art, dance, education and cultural pride in our home based city Chicago. 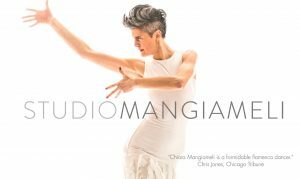 Founded in June of 2011 by Chiara Mangiameli in a 700 sq foot space on West Belmont Ave, Studio Mangiameli is one of the fastest growing studios devoted to flamenco in the Chicago area. Recently relocated to Dempster St, in the heart of Evanston’s Main-Dempster Mile, its mission is to present a well rounded, authentic as well as innovative perspective of this cultural art form through a wide variety of year round classes as well as guest artist workshops. Attended by absolute beginners as well as seasoned dancers, Studio Mangiameli, under the direction of Director and Founder Chiara Mangiameli, is regarded for the high quality of its theatrical student shows, and recognized for initiatives such as the monthly Featured Student that seeks to highlight the accomplishments of its student dancers. 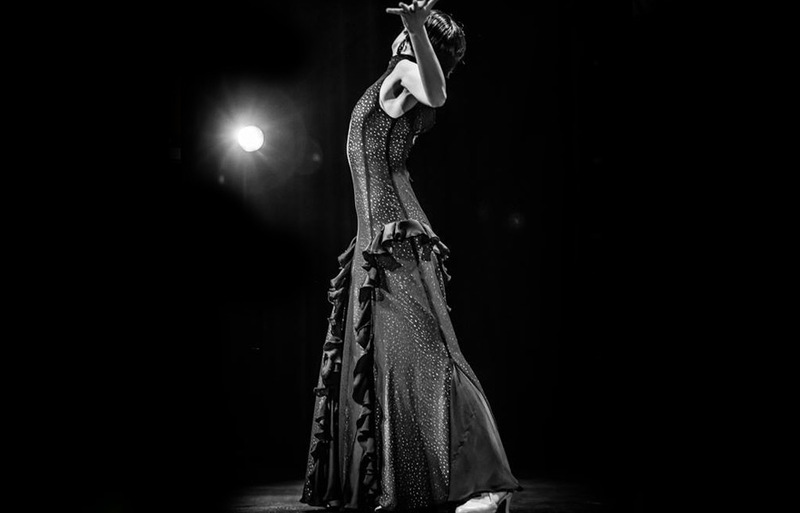 In 2016 Studio Mangiameli was invited to perform in the Fiesta de Apertura of the 29th International Albuquerque Flamenco Festival, the largest US festival celebrating Spanish Dance. Ginjarte Capoeira Chicago was founded in 1991 by Mestra Marisa, originally from Curvelo, Brazil, and has grown to be one of the largest capoeira groups in the Midwest. We currently offer classes & workshops in the African-Brazilian martial art of capoeira, as well as performances of capoeira and African-Brazilian dances, throughout the Chicago area. Founded in 1989, Renacer Boliviano is a not for profit organization in the Chicago area. For the last twenty eight years, we have been able to help countless organizations with their mission while upholding ours: to help the needy in Bolivia. Each year, our members choose the organization to help, and create fundraising goals to better meet their requests. Renacer Boliviano members (currently 28 members) work on a volunteer basis, our only compensation is the gratitude and smiles of the countless children, men and women that have benefited from our donations. 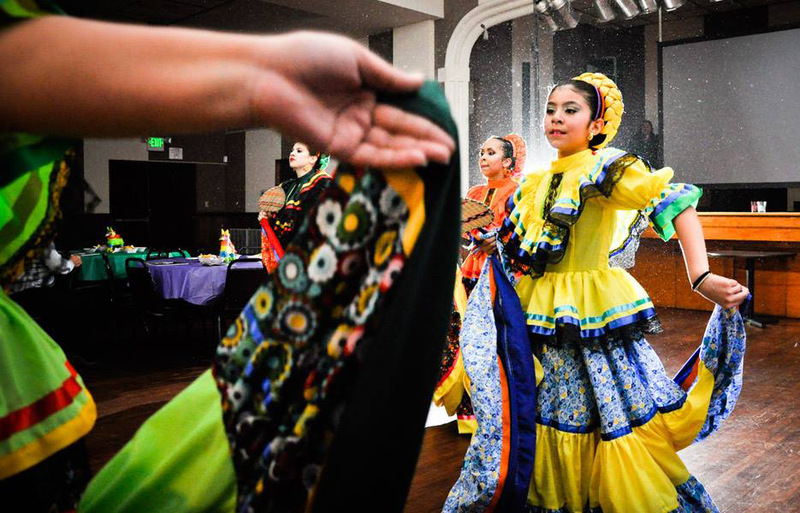 The dance troupe is an arm of the organization whose main goal is to promote bolivian culture through our folkloric dances and colorful costumes. RBDT has had numerous presentations around the Chicago area such as 4th of July parades in Skokie, Niles and Morton Grove, Day of immigrant festival in Bolingbrook and our traditional performance at the McDonald Thanksgiving Parade are the anually highlights. 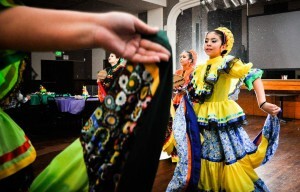 Renacer Boliviano Dance Troupe now is pleased to be included in this event. Exclusive Interviews and past celebrations!